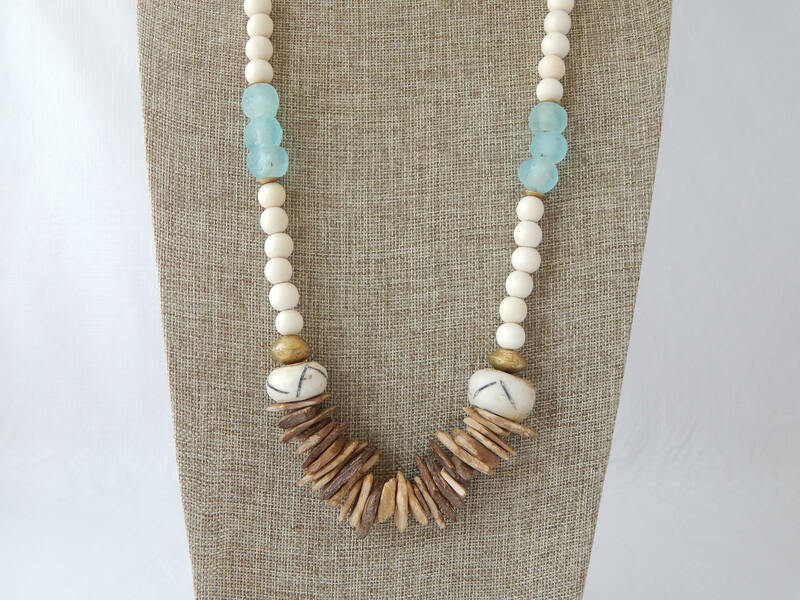 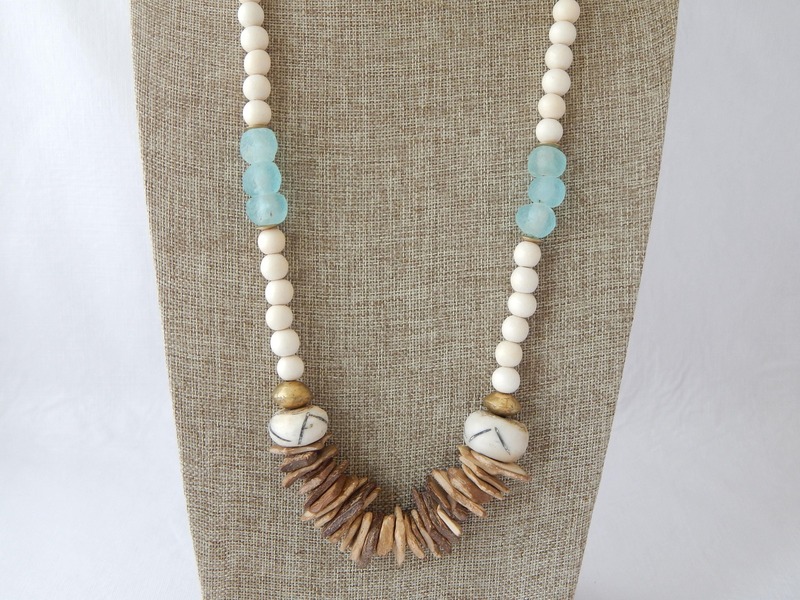 Natural white wood beads with large bone beads and aqua blue recycled glass create this one of a kind piece. 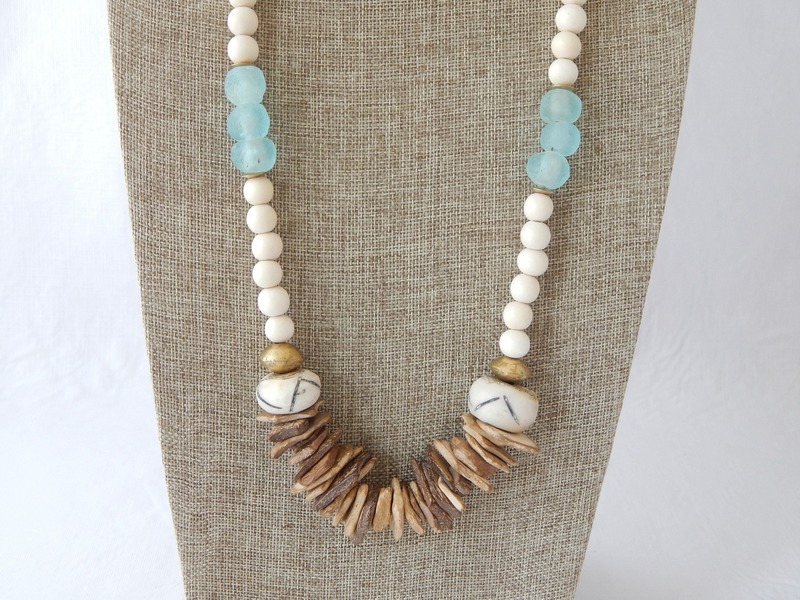 This necklace can be worn alone or layer with others to add a boho chic vibe to any outfit. 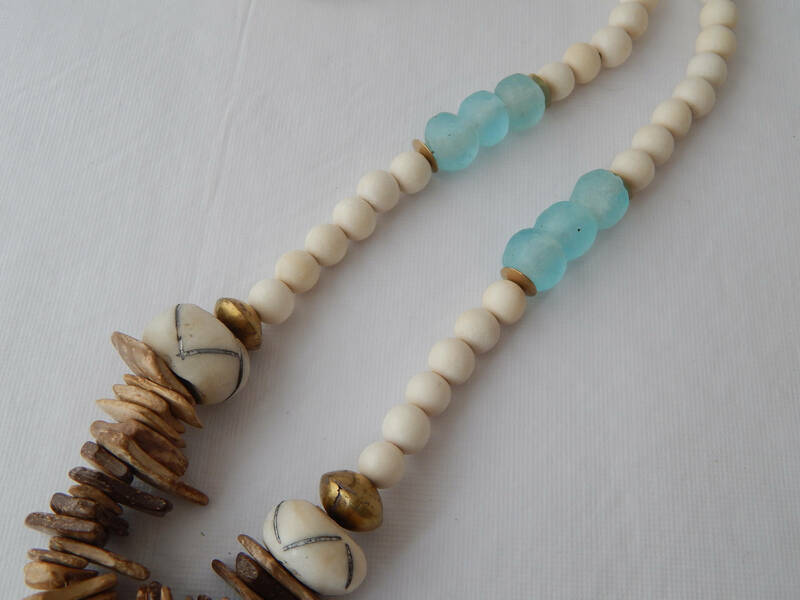 Necklace length is 32 inches. 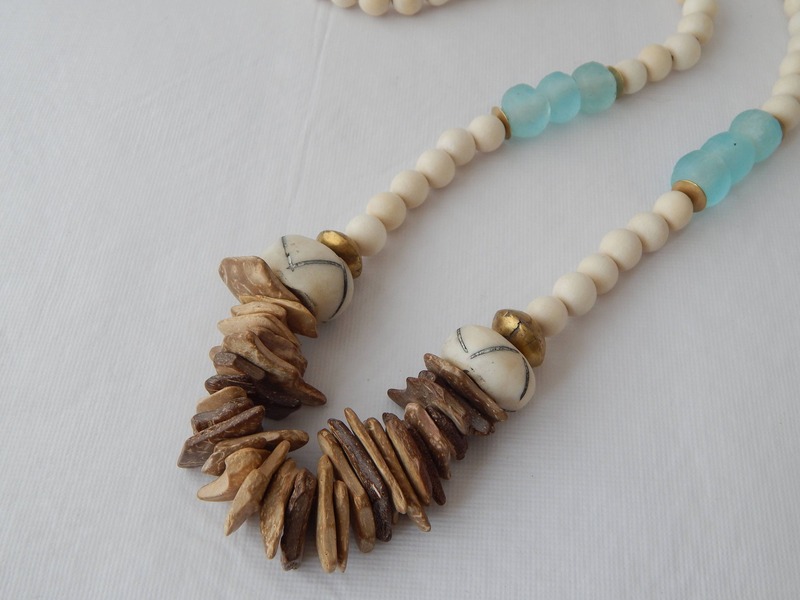 Wood beads are 10mm. 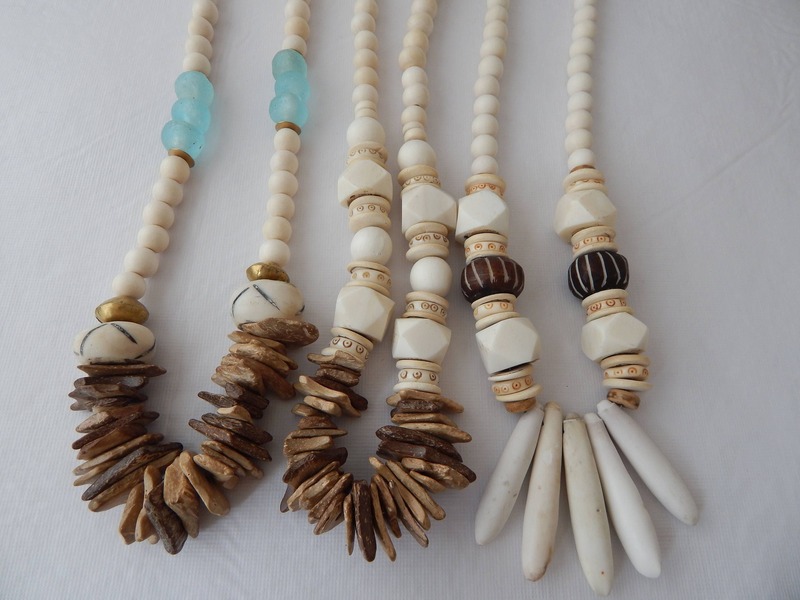 Bone beads are approx. 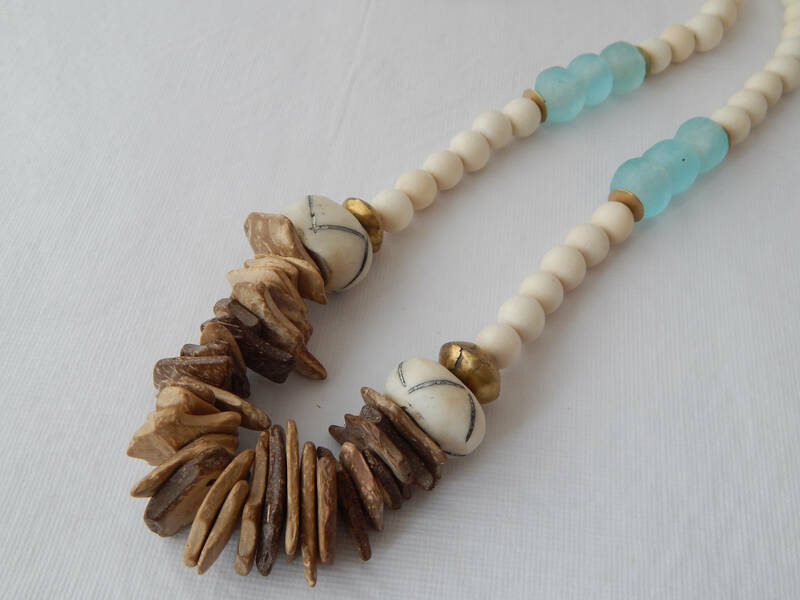 22mm, recycled glass 13mm and the coconut wood is various sizes.